If the new Dyson Lightcycle desk lamp and standing lamp are a little out of your budget you may be interested in the new ToQi Base desk lamp priced at $59. 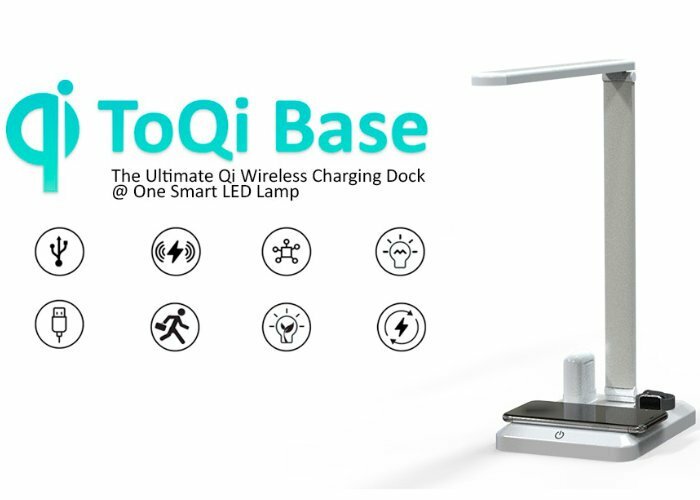 Equipped with wireless charging technology in its base and a smart LED light, the Qi wireless charging dock and lamp has this week launched via Kickstarter with the aim of raising the needed funds to make the jump into production. Watch the demonstration video below to learn more about the features, construction and design of the wireless charging station capable of simultaneously charging your smartphone, Apple AirPods and Apple Watch.